Kuwait Finance House: Kuwait Finance House , one of the first banks in accordance with the principles of interest-free banking, was established in 1977 in Kuwait. Today, KFH, one of the world's leading Islamic Banking institutions, is one of the largest lenders in the local and regional markets. And is a public company on the Kuwait Stock Exchange. For more information please click here. General Directorate for Foundations: Established in 1920 with the title of Şer’iyye and Evkaf Vekaleti (Ministry of Foundations) and renamed to this current title in 1924, it is a rooted state institution affiliated to the Presidency of The Republic Of Turkey. Pursuant to the Law No. 2762, the assets and properties of the registered foundations are administered and managed by the GDF. For further information please click here. Islamic Development Bank: The Islamic Development Bank is a multilateral development bank (MDB), working to improve the lives of those we serve by promoting social and economic development in Muslim countries and communities worldwide, delivering impact at scale. IDB provide the infrastructure to enable people to lead better lives and achieve their full potential. For further information please click here. 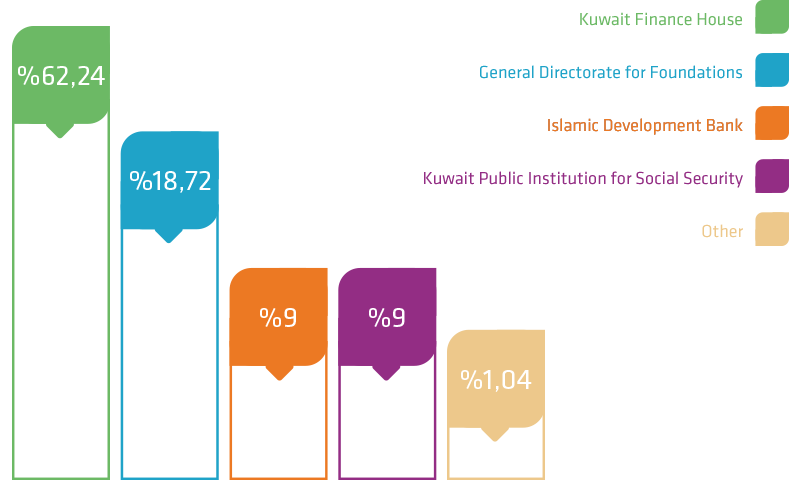 Kuwait Public Institution for Social Security: The institution acts as the social security organization of the State of Kuwait. It is the public institution regulating the social security of Kuwaiti nationals for retirement and disability.